Welcome to Anchor Lodge Motel Coromandel. We are conveniently located just 400 meters from Coromandel town centre. Whether you are travelling for business or leisure, you will enjoy being situated only minutes away from many of the unique Coromandel attractions, bars and restaurants. Anchor Lodge offers a range of quality Coromandel accommodation including harbour view suites, spa suites, two bedroom family units and spacious luxury family spa apartments. All 25 rooms are meticulously serviced daily. Rooms include ensuite bathroom, LCD TV with sky and DVD player, complimentary tea and coffee, and modern amenities to ensure you have a comfortable stay. Our aim is to provide you with an excellent experience during your stay. Our friendly team are here to assist you with exploring the beautiful Coromandel. 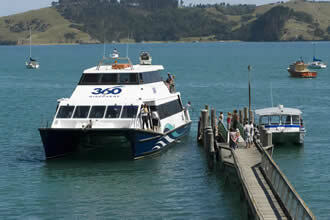 We will ensure you are given the best advice about what to see and do while visiting the Coromandel area.